Why Does Your Garbage Disposal Sound Like It’s Dying? If sounds coming from your garbage disposal make you grit your teeth, it could be pulverizing for the last time. Grinding, rattling or clanking noises usually indicates something is preventing your disposal from spinning freely. Leaving it running too long in an attempt to chew up whatever is causing those awful noises may break your garbage disposal. So, if you turn on your garbage disposal, and it screams at you, turn it off immediately. What’s Good about Humming, Grinding or Clanking Noises? Believe it or not, when your garbage disposal makes abnormal sounds when you turn it on, that means it’s still receiving power and is likely repairable. Just don’t accidently burn the motor up by leaving it on for more than a few seconds when it won’t move. 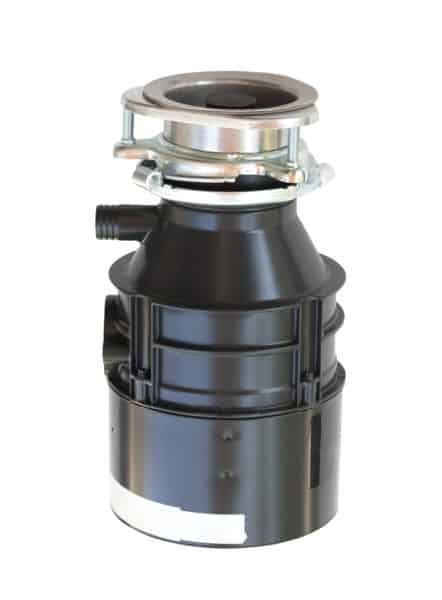 With proper care and maintenance, your garbage disposal could last 10 years before it gives one last rotation. Stuff not to put in your garbage disposal includes pasta, rice, coffee grounds, chicken bones, corn husks and fruit seeds or pits. Also, flush your disposal with cold water once a week by filling your sink with water and then pulling the stopper to let the water drain forcefully. Once a month, grind up a tray of ice cubes in your garbage disposal until they are slushy, then rinse with a stream of cool water. Grinding ice cubes help keep shredding blades sharp while removing any accumulated debris. Another once-a-month maintenance tip to sanitize and freshen your disposal is to put one cup of vinegar and 1/2 cup of baking soda into the grinding chamber. Let the vinegar and baking soda fizz and foam for about 10 minutes before slowly pouring a small pot of boiling water into the chamber. A mixture of one tablespoon bleach and one gallon of water will also thoroughly sanitize your garbage disposal. Grinding up orange, lemon or lime rinds gives your smelly disposal a pleasant, fruity scent if you don’t need to sanitize it. 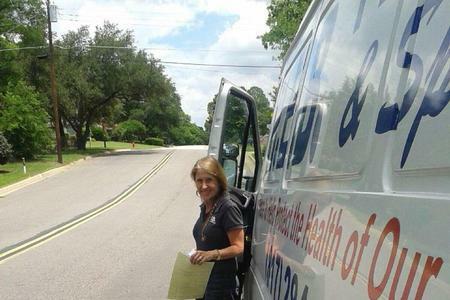 If you need help to repair or replace your garbage disposal, call the plumbing lady-Kathlyn Smith at 817-283-8888.